With PureSync you can easily synchronize data between two different sources in a variety of ways. 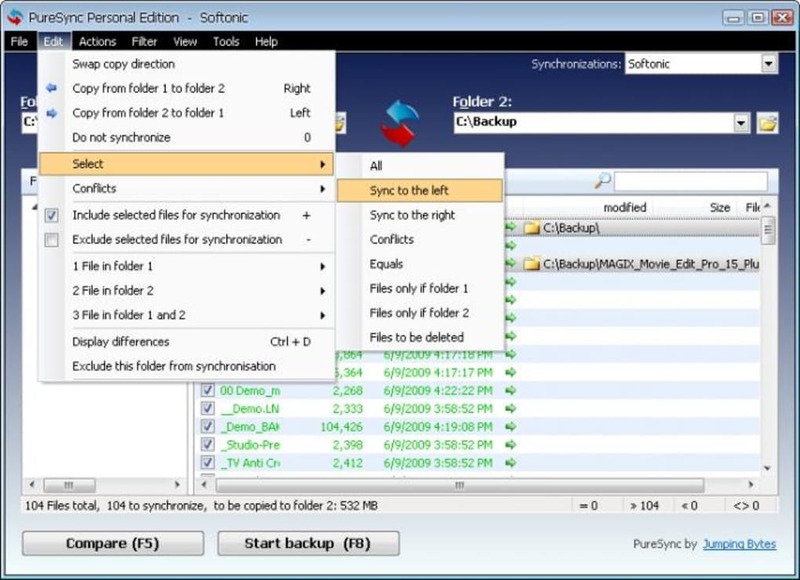 PureSync synchronizes content between folders on different drives, creates backup copies of selected folders and helps you extract photos from your digital camera and other devices you can connect to the computer. You can create multiple syncing tasks, each of them with its own name and configuration options, and set them to work according to a schedule or only when you manually start them. 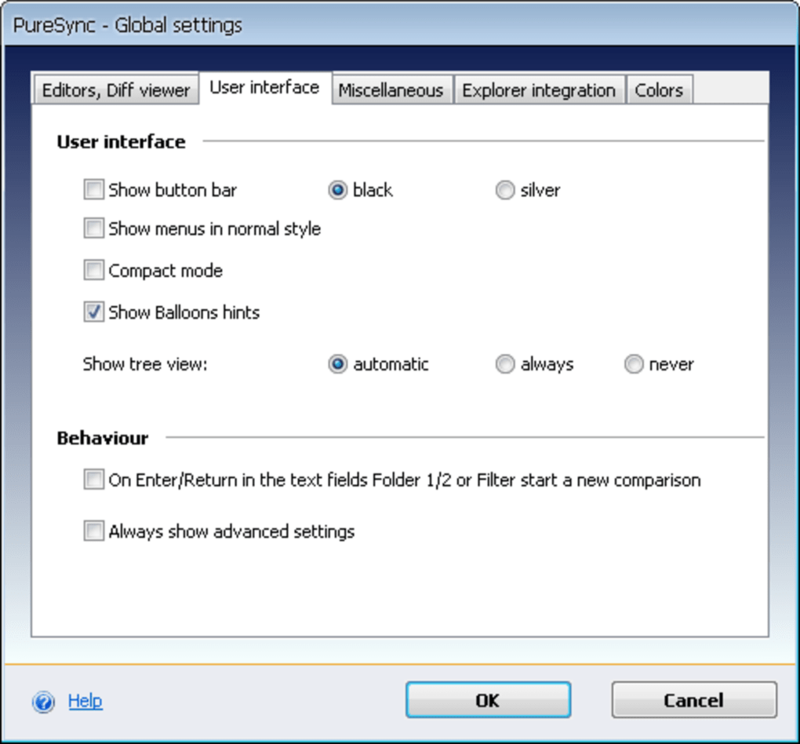 PureSync is very easy to use: a step-by-step wizard guides you through the whole process of creating each syncing task. The program's interface displays a summary of all the actions applied to files and folders, using a color code to distinguish different types of synchronization. 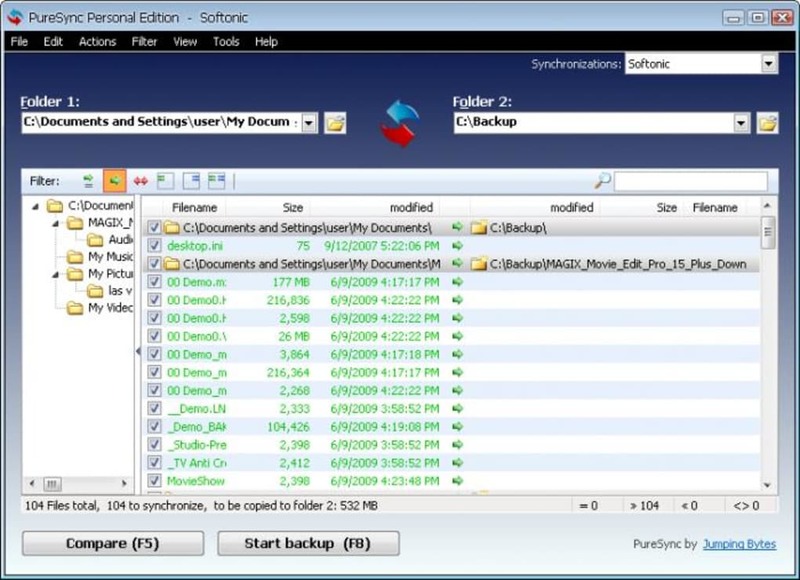 PureSync supports also incremental backup copies – that is, copies only those files that have changed – and can be seamlessly integrated with Windows Explorer. 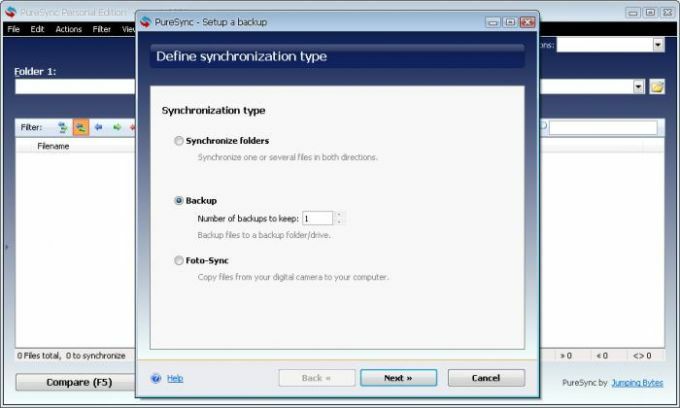 With PureSync making backup copies, transferring photos to your PC and syncing data across different folders can be much easier. Needs better help files. This is a clean program, ideal for back ups and synchronisation on one drive or to a USB stick. I cannot get the program to sync or transfer between two computers. All I end up with is an Error message ; Insufficient user priviledges to copy the file, you may try to start Pure Sync as an adminstrator. is there some obscure setting that I need to adjust?. Very clean & bright layout.